You can choose the target scene using a dropdown list of all the Experience's scenes or obtain the scene name from an external source via binding. Scene to scene transitions may seem abrupt when not using transition effects. Adding effects to your scene changes will help smoother up the transition between scenes. 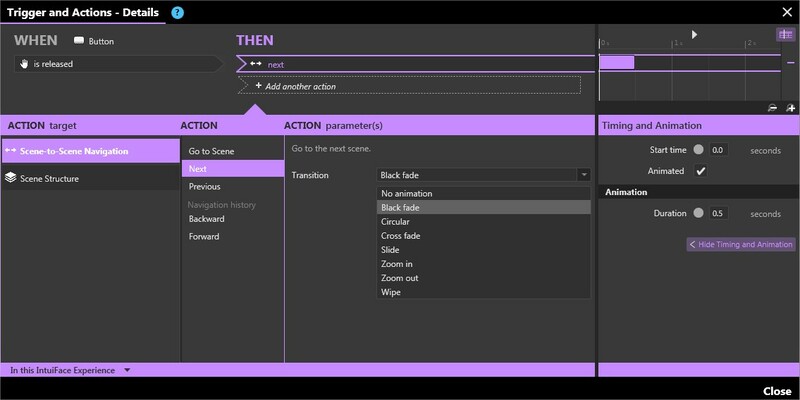 You can add a Button control into your scene and associate any of the above navigation actions with it. You can also use any of the navigation buttons available as Design Accelerators. By default, these buttons are embedded with predefined navigational actions. 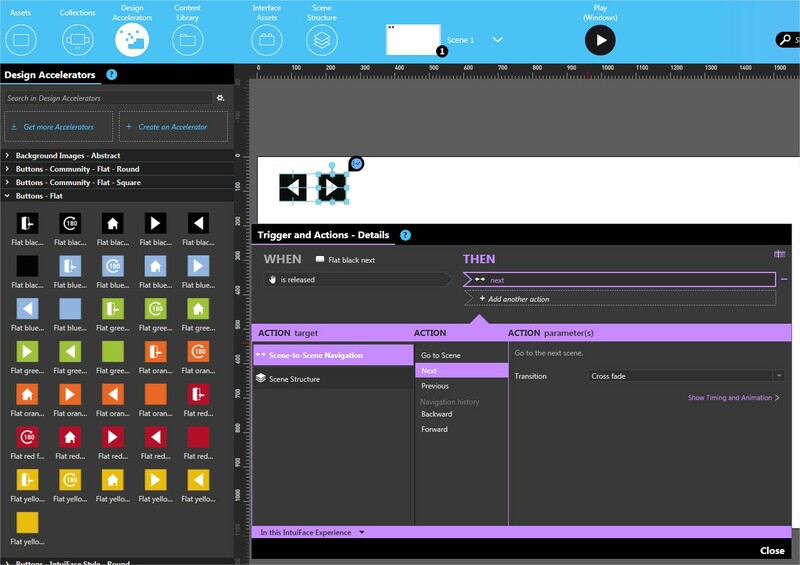 Simply drag and drop the desired navigational buttons from the Design Accelerators panel onto the scene. 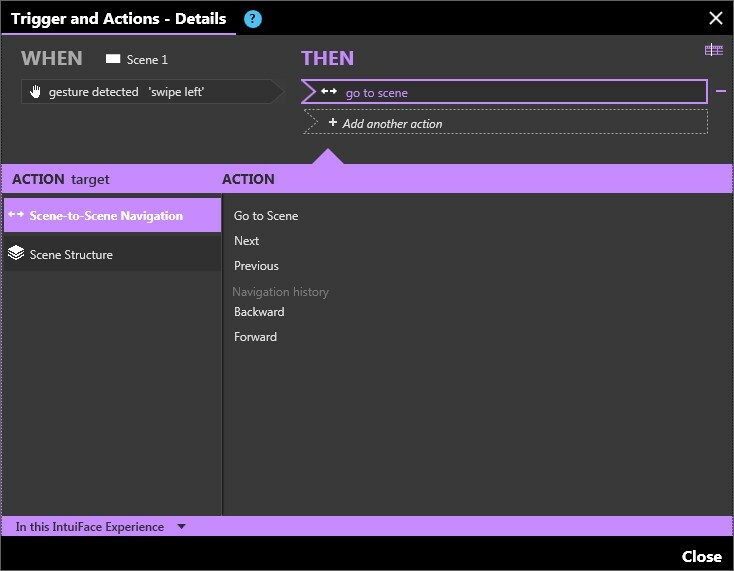 You can change the predefined actions at any time.